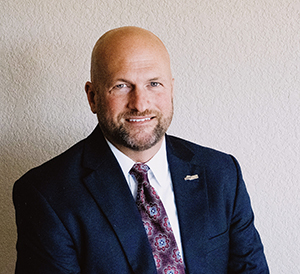 Scott S Balmos is the President and Chief Executive Officer (CEO) of Semper Valens Solutions, Inc. (SVS), a Service Disabled Veteran Owned Small Business (SDVOSB) founded in 2014 and headquartered just outside of San Antonio, TX. He provides strategic direction and is responsible for managing the varied and complex operations of the company. Mr. Balmos holds a Bachelor of Science (BS) in Computer Science from Park University, an Associate of Science in Database Management from San Antonio College, and is a certified Program Management Professional (PMP). Mr. Balmos has over two decades of technical and managerial experience in the US Department of Defense (DoD) community. Mr. Balmos has enjoyed a successful career in this market space since 1994 when he began work as US Reconnaissance Marine performing tactical SIGINT collection on two Marine Expeditionary Unit (MEU) deployments and as a member of a Special Operations Capable Pacific (SOCPAC) contingency team. 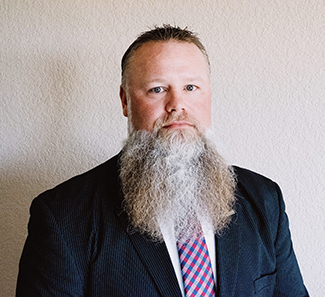 In 2000, he worked as a Network Analyst for a Fortune 500 technology company supporting the Tri-Service Infrastructure Management Program Office (TIMPO) before transitioning into software engineering and project leadership supporting the Air Force Cryptologic Group (CPSG) on Lackland AFB, TX. In 2002, Mr. Balmos worked as software engineer with the US Army Intelligence and Security Command (INSCOM). He held various technical and managerial roles over the next 10 years to include Software and Systems Engineering Lead; Oracle DBA; System Architect; Regional Manager; Product Manager; Deputy Program Manager; and Program Manager. In 2012, Mr. Balmos was promoted to C4ISR Field Support Program Management Office (PMO) Manager and directed a diverse team of 130+ personnel supporting multiple C4ISR programs and platforms, to include Distributed Common Ground Station – Army (DCGS-A), across 35+ locations worldwide. Chris Robinson joined Semper Valens Solutions in 2014 as the Chief Technology Officer. He provides the technical direction for the company, mentoring to our technical staff, and hands on execution to multiple programs. Mr. Robinson is a disabled Army Veteran having served as an Imagery Analyst in the Military Intelligence Corp with focus on the ARMY TENCAP systems. For the last 15 years, Mr. Robinson has provided technical direction, mentoring, system architecting, hardware, software, networking, and storage support to Army and Air Force customers throughout the world. Starting in 2001, Mr. Robinson, as a Northrop Grumman FSR, supported operations of the DCGS-AF mission. After 4 years on the project, Mr. Robinson led a technical team that had started at three (3) personnel running a single operational mission to twenty-three (23) engineers running four (4) missions concurrently. His success in the project led him to join the QRC DCGS-A team known as JIOC-I. Mr. Robinson was part of the primary team responsible for building the hardware component for JOIC-I, deploying the system in 2005 into Camp Slayer, Iraq. In 2006, Mr. Robinson joined the SAIC team as a site lead responsible for the software of the JIOC-I system. Mr. Robinson spent the next 8 years supporting DCGS-A with SAIC/Leidos as the SME of the DCGS-A Fixed Sites and DCGS-A Fusion Brain. Mr. Williams started his career as an Intelligence Analyst with the US. Army. After completing several successful deployments to the Balkans and the Middle East / North Africa, Mr. Williams was honorably discharged and began supporting the army as a Software Engineer and Field Support Engineer. In 2011 Mr. Williams again returned to the Army as a Army Civilian providing Information Technology Acquisition Support. As an Acquisition Corps member, Mr. Williams was directly responsible for multiple Army Weapon Systems sustainment activities, including a 70 million dollar per year OPM budget. Over the past 10 years, Mr. Williams has held many successful positions, focusing his efforts to bridge the gap between Army Acquisition activities and Information Technology developments. Mr. Williams currently resides in Canyon Lake, TX with his wife and children. Mr. Williams is an Eagle Scout and an active supporter of local Scouting organizations. Nicholas Brown joined Semper Valens in 2016 as the Director of Finance. Mr. Brown holds a Bachelor of Science (BS) in Accounting from Pennsylvania State University, and is a certified Project Management Professional (PMP). Mr. Brown has several years of financial and managerial experience working for the Department of Defense (DOD) and with the Department of Veterans Affairs (VA). Mr. Brown began his career supporting several large programs for the Department of the Navy as a civilian employee. There he was responsible for budget submissions, appropriation law, and fiscal compliance for the programs he supported. After 5 years of support, he began working for SystemsMadeSimple, a Lockheed Martin company. There he managed the financial operations of a large program with an annual budget of $150 million, which focused on the management of VA data centers. After 2 years, he took over the role of Project Manager for a performance management project which supported The Office of Performance and Analytics (OP&A) within the VA. Mr. Brown currently resides in Austin, TX with his wife and children. Eric, Vice President of Semper Valens Solutions, based in Aberdeen Proving Ground (APG), Maryland is a 24-year DoE, DHS, and DoD veteran and has represented large businesses in a wide array of contract transactions. Eric has built a solid foundation of customers and industry partners. Mr. Neumuller has a long record of successfully guiding local, national and international customers with their contract execution, corporate acquisitions, lease obligations, and contract vehicle awards. His specific areas of expertise include strategic planning, business development and contract execution. Eric specializes in applying his expertise and market knowledge to win, consistently exceeding goals. In addition to being an active contributor with Fisher House, Tragedy Assistant Program For Survivors (TAPS). Eric is a member of Army Alliance - APG, Army Aviation Association of America (AAAA), Armed Forces Communications & Electronics Association (AFCEA), Association of Old Crows (AOC), Association of the US Army (AUSA), International Test and Evaluation Association (ITEA), Industrial Representatives Association (IRA), and National Defense Industrial Association (NDIA). Eric is an active member of Bulle Rock Country Club. Eric graduated from Wesley College with a Bachelor of Marketing Degree. 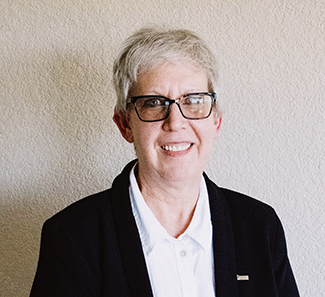 Susan McCathern is the Director of Security for Semper Valens Solutions Inc. She served 22 years in the United States Army as a Master Logistician before retiring in 1997. She served in Operation Restore Hope (Somalia), performing as the 10th Mountain Division Logistics Sergeant Major (SGM), and supported numerous other real-world operations including those in Iraq, Cuba, and Honduras. In the years following her retirement, Mrs. McCathern worked as an independent contractor forming her company Kress & Associates, and an employed contractor for ManTech and Lockheed Martin. She performed as the Lead for ManTech for the Left Behind Equipment (LBE) Program; supporting CECOM Logistics Support Element (LSE) and the 11th Signal Brigade at Fort Huachuca, AZ. At Lockheed Martin she performed as the Senior Logistics Lead, Project Manager, Operations Managers and Facility Security Officer (FSO). In addition to her work a government contractor, Mrs. McCathern has devoted numerous volunteer community service hours. She served on the City of Sierra Vista West End Commission for seven years with six years as the Chair. She established the first ever West End Block Party in 2006 which raised over $30,000 for the construction of brick walls depicting the West End of Sierra Vista. 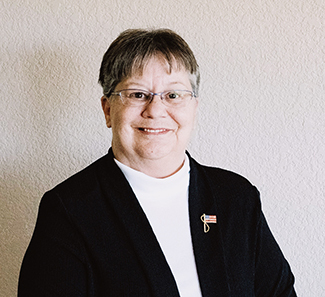 Mrs. McCathern is a life-member of Veterans of Foreign Wars (VFW) Post 9972 in Sierra Vista, AZ with service as the Club Committee Chair, Public Information Officer, Vice Commander and Senior Commander. She is the present Chair of the Sky Islands NCMS Chapter; NCMS is a professional society of security personnel. Mrs. McCathern has been awarded five Presidential Community Service Awards; three gold awards for over 500 hours, one silver award for over 100 hours and one bronze award for 100 hours. Mrs. McCathern lives in Sierra Vista, AZ with her husband Patrick and has five grandchildren. Her philosophy is Never Forget Where You Came From. Roger A. Jenkins is a Vice President and Director of Technology for Semper Valens Solutions. 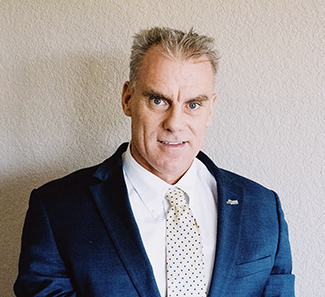 With more than 30 years of military, contract, and government experience in system and software engineering of intelligence, electronic warfare, and business systems, Mr. Jenkins’ expertise and leadership suit him well to provide innovative solutions to Semper Valens customer challenges and requirements. Mr. Jenkins’ Army career began in 1988 when he enlisted as an Intercept and Electronic Warfare Tactical Systems Repairer, Military Occupational Specialty 33T. Following Basic and Advanced Individual Training, Mr. Jenkins’ assignments included the 5th Infantry Division, 105th Military Intelligence (MI) Battalion (BN), Fort Polk, Louisiana; 408th Military Intelligence Company, Fort Davis, Panama; and 311th MI BN, Fort Campbell, Kentucky. In 1997, Mr. Jenkins completed his obligation to the Army and received an honorable discharge. Following his Army service, Mr. Jenkins worked as a Field Software Engineer, and later Site Lead, supporting the 101st Airborne Division (Air Assault) at Fort Campbell, Kentucky. In 2000, Mr. Jenkins transferred to a position as a Senior Software Engineer in the Rapid Application Development (RAD) Team at Fort Campbell. He deployed with the 101st Airborne to Kandahar, Afghanistan to provide All Source Analysis System software support in theater, providing field developed solutions and fixes to the ASAS systems. 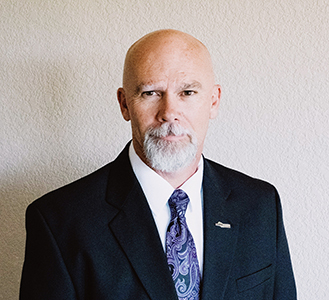 In 2003 Mr. Jenkins was appointed as the RAD Team Manager, the team was later moved in 2004 to Sierra Vista, Arizona and was re-designated the Business Intelligence Team, providing CECOM SEC with numerous capabilities to enhance business automation within the Center through 2008. Mr. Jenkins returned to Federal Service in 2009 as a Department of the Army Civilian with the CECOM SEC Intelligence Fusion Systems Division, as the Enterprise Architect. He later held positions as the Distributed Common Ground System – Army Fixed Project Lead, and Software Enterprise Lead. Mr. Jenkins was selected as the Intelligence Mission Support Branch Chief in 2014, responsible for management and oversight of many of the Intelligence Support Division activities: Business Automation, Configuration Management, Cyber Security, Data Management, Facility Management, Independent Verification & Validation / Test, Integration, Knowledge Management, Lab Management, License Management, Physical Security, Process Improvement, Property Management, Quality Assurance, Shipping & Receiving, and Software Release. Mr. Jenkins and his wife of 33+ years, Julie, have three children and four grandchildren, and live in Forest Grove, Montana with their adopted granddaughter Savannah. Outside of work, Mr. Jenkins enjoys spending time with his family traveling, camping, hiking, and other outdoor activities. Mr. 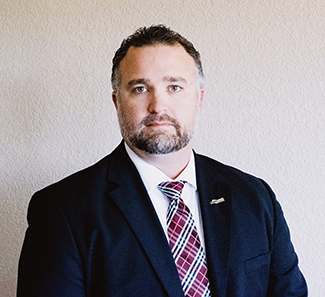 Rains joined Semper Valens in 2017 and serves as a Vice President with Semper Valens Solutions charged with expanding the corporate presence with customers in the Fort Huachuca market and throughout the western United States. Mr. 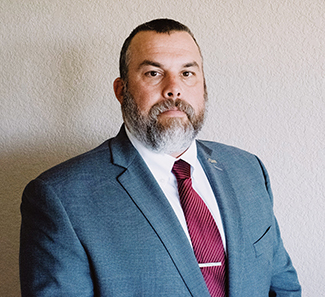 Rains is a combat veteran having served with the 3RD Infantry Division during the initial invasion of Iraq in 2003, and a seasoned leader having led large programs both for the Department of the Army and a Fortune 500 Corporation. During his service as a Department of the Army Civilian, Mr. Rains held positions as the government Project Lead overseeing the Field Software Engineering missions for multiple Army Intelligence Programs of Record and was also the Deputy Product Director for the Distributed Common Ground System-Army (DCGS-A) Strategic “Fixed” Sites responsible for Processing Exploitation and Dissemination of strategic Army Intelligence. In these roles Mr. Rains was responsible for the effective execution and direction of multiple contracts and teams of people working collectively to support a global mission. Upon departure from the Federal service and just prior to joining Semper Valens, Mr. Rains took a position as the Senior Program Manager for a Fortune 500 Technology company leading one of their corporate Top 5 priority programs and a large-scale SAFe agile Internal Research and Development (IRAD) initiative comprised of a team of development engineers chartered to develop new technologies in data mining and presentation. The technologies developed as part of the IRAD went on to become the foundational component of several of the companies winning bids. Mr. Rains holds a Bachelor of Science in Business Administration from Trident University International and is a Defense Acquisition Workforce Improvement Act (DAWIA) Level III certified Acquisition Professional in Software Acquisition. He and his wife of 25 years have four children and live in Sierra Vista, Arizona. Jana Siegle, Director of Human Resources comes forward from a process-oriented and program management background in the private and non-profit sectors. In 2017, Jana achieved her lifelong dream of completing her bachelor’s degree in Web design and Development, graduating as Valedictorian of her class. With experiences as varied as life itself, Jana has worked with and amongst programmers and developers, fortune 500 customers and acted as a liaison between the NOC (Network Operations Center) and the installers in the field finding a balance and streamlining processes to make everyone’s job easier. Having owned her own business and working within a non-profit for 10 years expands her skillsets from just centering around Operations to include those of Human Resources and Management, expanding skillsets multi-dimensionally of those currently held. Currently residing in Texas with her husband, the bright stars of her day are her 3 children and 5 grandchildren. Daniel Danaher, Director of Contracting for Semper Valens Solutions, has over twenty years of cradle to grave management of Prime Contracts and Subcontracts. 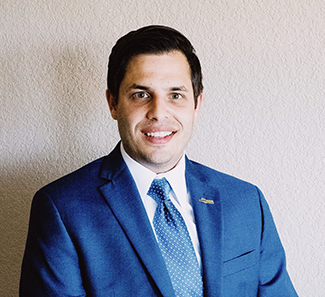 Mr. Danaher joined Semper Valens in 2018 and holds a Bachelor of Administration (BA) degree in Business/Marketing from James Madison University. 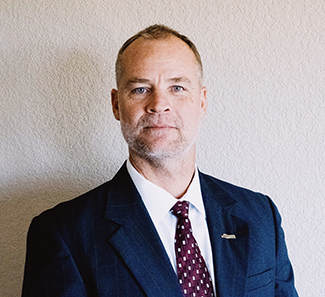 Mr. Danaher is responsible for maintaining a corporatewide policy, direction, training and oversight of Contracts and Subcontracts and ensuring that Semper Valens meets acceptable performance standards in these areas. He serves as a principal interface with key government officers regarding all Contracts and Subcontracts matters. He also develops and implements companywide Supply Chain strategies and key processes. He is responsible for compliance relative to Semper Valens’ Supply Chain. Prior to his Director of Contracts role, Mr. Danaher started his career with the Federal Home Loan Mortgage Corporation (Freddie Mac) in 1990. In 1995, he began working for a Small Department of Defense Company in Washington D.C. He successfully managed and executed Prime Contracts, Subcontracts, RFP Analysis, Compliance and Risk Management; portfolios valued in excess of $500 million. Mr. Danaher oversaw contracts and business development efforts as a contractor at the Pentagon supporting military agencies including the General Officers Management Office (GOMO) and Department of the Army Information Management Support Center (IMCEN). Mr. Danaher is a member of the National Contracts Management Association (NCMA) which is a professional society of contract management personnel. In addition to his work as a government contractor, Mr. Danaher has devoted his time working with underprivileged/at-risk youth for the purpose of engaging them to excel academically and athletically.